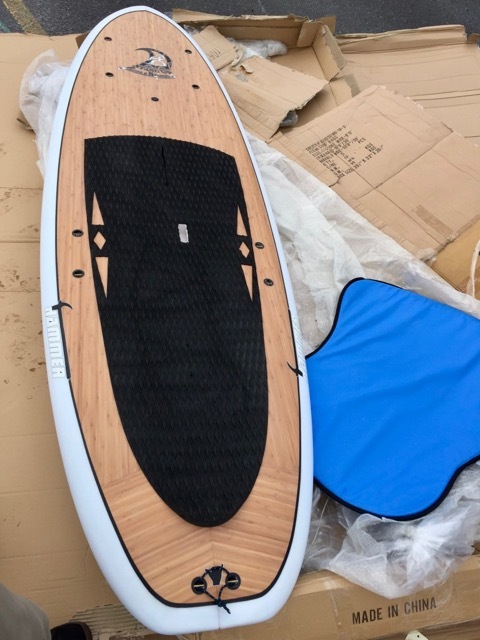 reposted from other site, new fun is on the horizon for lightwind pole boarders!! 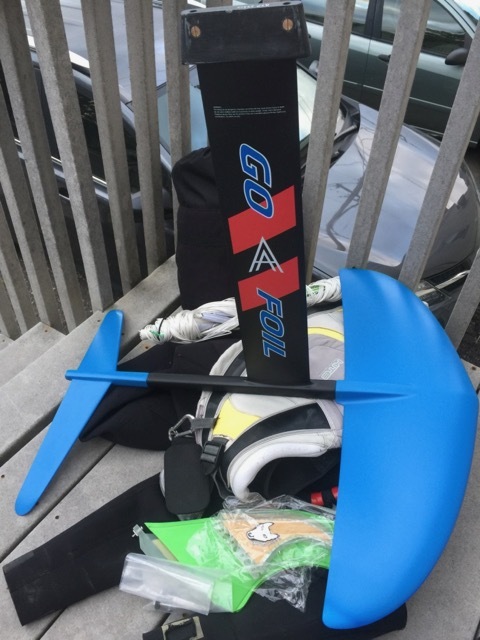 2 sessions on a paddle board with Go Foil Maliko under belt. 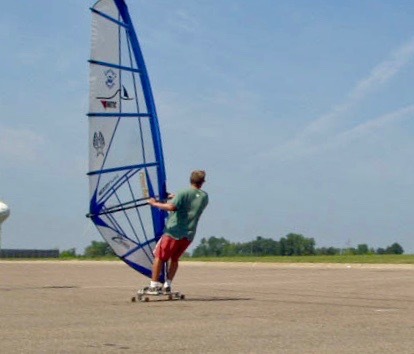 Winds 5-10 - almost got out of the water a few times, pumping 5.2 Sailworks Revo first session (pictured) and yesterday with 6.2 Charge - I'll keep rigging the charge until I get a flight. Light winds and pumping my windsurfing friends! A plus is that you freeking OWN the whole lake upwind. You can go where ever you want. It's like a keel. 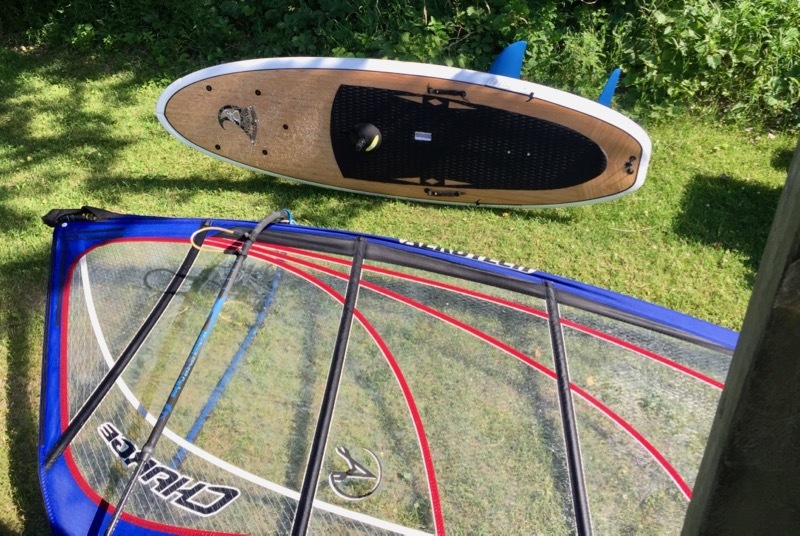 Rear wave fin redundant - no need. So far it sheds weeds good. Ever see a fish or dolphin with weeds on it? ;) Plus you might get to dust off your small, under used, EXPENSIVE sails you bought to use in the Gorge or twice a year in Minnesota. Even old ones will work, maybe even better than new wave sails. 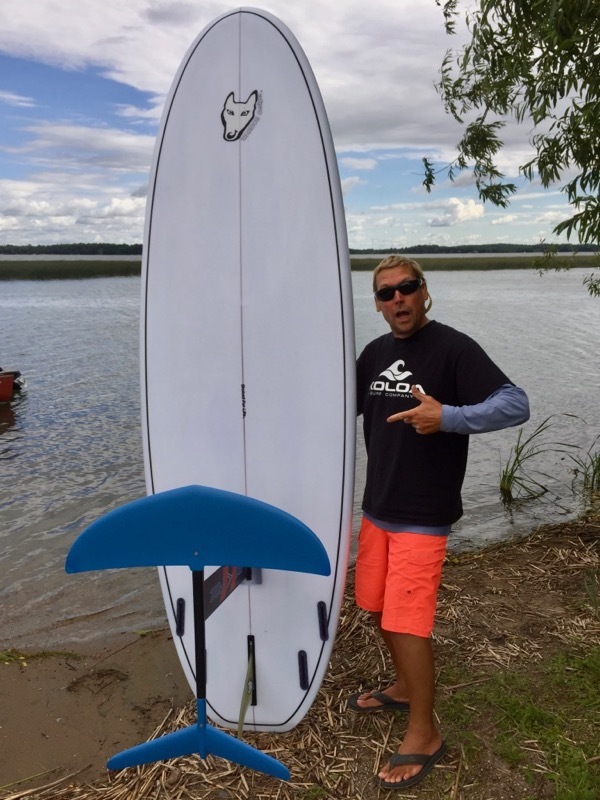 So, if the winds are light and you see a kook trying to pump a big SUP with a small sail in super light winds... now you'll know. You have knowledge power! 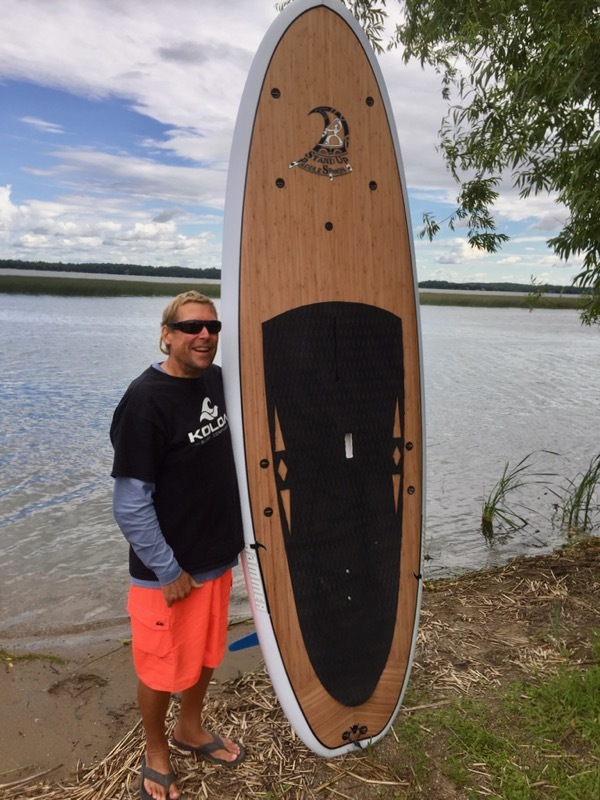 And myself with new board and foil. I'm stoked! Awesome Eric. Would love to give it a try. Loved Robbys video. Eric have you been able to pump the board only to get onto a foil? Seen a few do this but it looks challenging. Great core workout for sure. I'd think it would be easier to stay on a foil once going by pumping but getting up onto a foil would be tough. 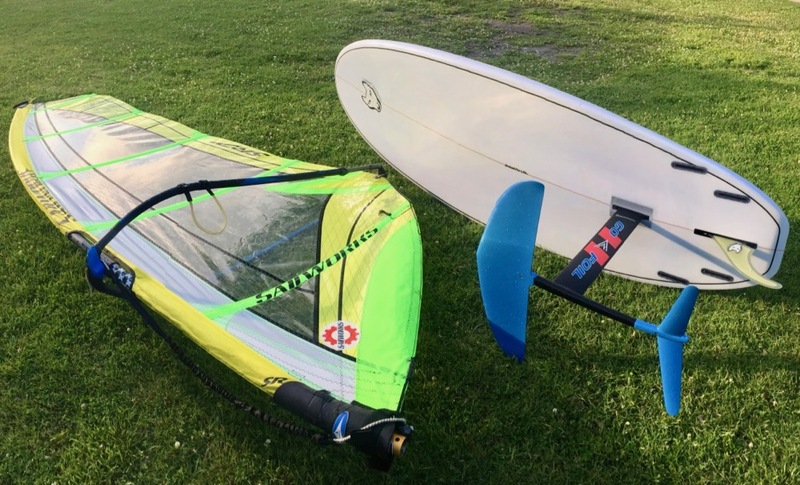 Maybe next time we're out I could pull you up onto a foil (me on a twin tip and kite). 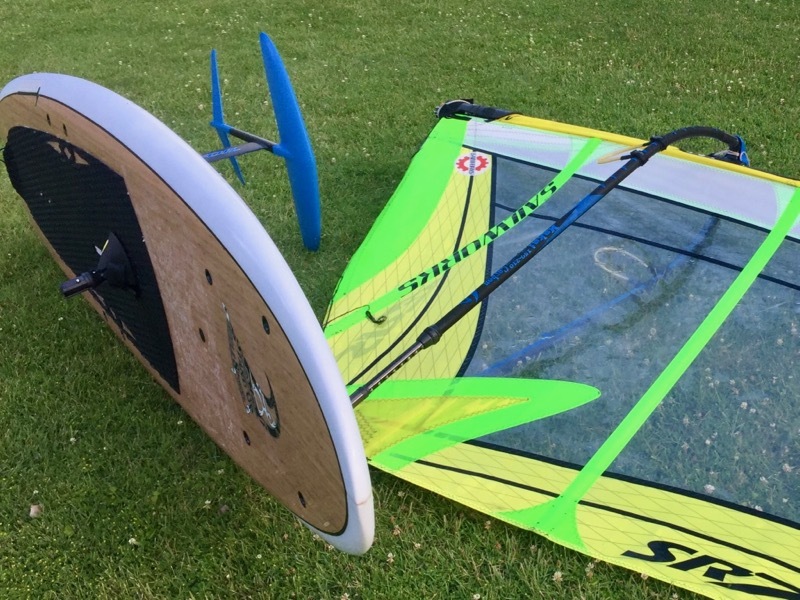 Still love your idea of a downwinder on Mille, riding the swells. I'd be your tow up onto foil and camera man if you want. Love that you're pushing the bounds and discovering other foiling options. I have not been able to get the board to do much of anything with a paddle and or pumping only. You can definitely feel it under you doing something but I need a little "push" this is where the sail is coming in handy! If there's sharp texture from a gust on the water I try to get it flying. I've only had the one session with a few flights under my belt but I'm gonna go out to Waconia today after work here. Might even be TOO much wind later... Did I just say too much wind? SLAP ME!